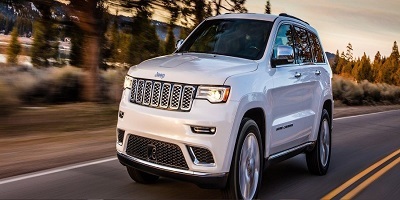 Bearing Jeep’s flag, the 2017 Grand Cherokee inherits a weighty onus, one that is met responsibly with an exciting, responsive, and reliable ride. Equipped with powerful engine options, this SUV maintains a strong grip in a segment played by the likes of Ford Edge and Hyundai Santa Fe Sport. The Grand Cherokee exudes a homey feel with premium components. No matter where or when you wish to go, this Jeep stalwart from El Paso dealerships will reach your destination. The 2017 Jeep Grand Cherokee generously offers four engine choices. The 3.6-liter V6 delivers 295 horsepower and 260 pound-feet of torque while the 5.7-liter V8 packs 360 horsepower and 390 pound feet of torque into its train. For more oomph, you can go for the 3.0-liter, diesel V6 lending 240 horsepower and 420 pound-feet of torque. Read more on VivaChryslerDodgeJeep.com blog page. Posted on December 17, 2016 by CedrickPosted in BusinessTagged 2017, dealership, jeep, paso, talks. Viva Dodge Chrysler Jeep has been known throughout El Paso for fast, neighborly, and honest service for many years. We are pleased to provide this experience to every customer, every time. Visit our website for more information.